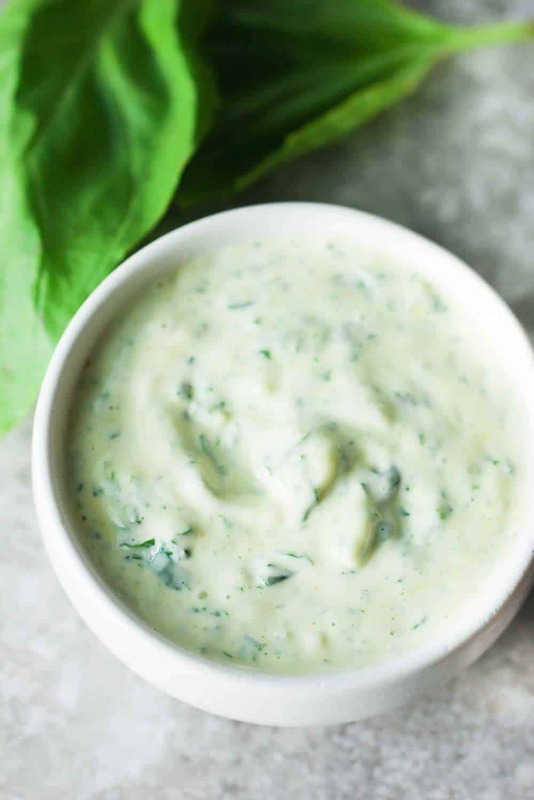 This Garlic Basil Aioli recipe is such an amazing flavor boost to so many dishes. 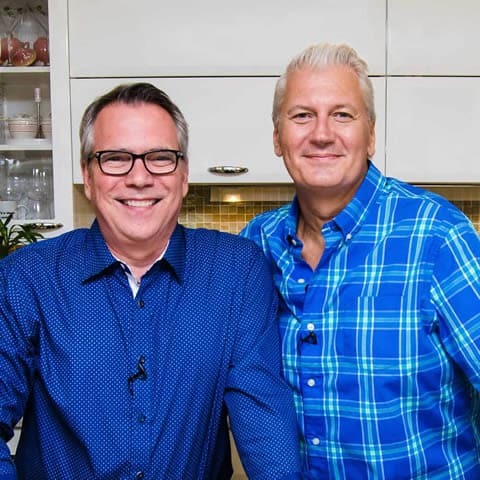 You can cheat and start with good-quality mayonnaise, and that’s perfectly fine, but I say make it really special and make it completely from scratch. Mayonnaise is a simple emulsion of oil and egg yolk, plus a little acid (vinegar and lime juice) and a dash of salt. For standard mayo, you’ll typically want to use a very neutral oil, such as canola or grape seed. This is always is best. 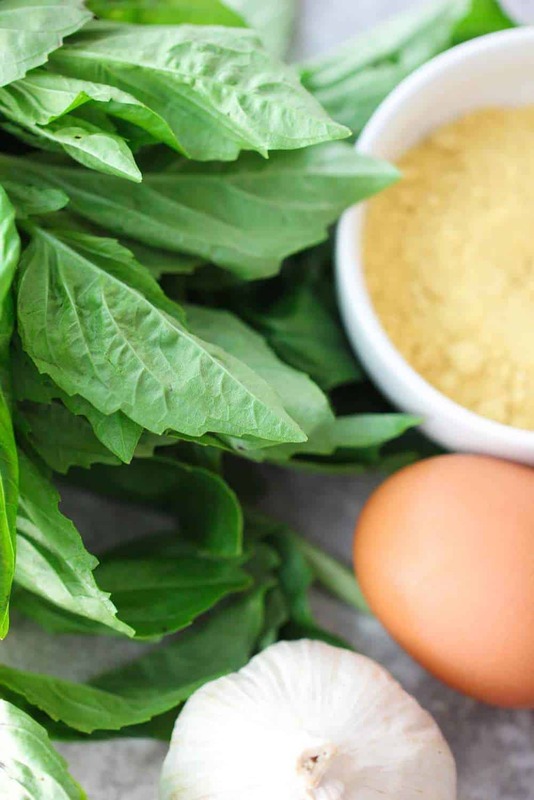 But the traditional method of ailoi calls for extra-virgin olive oil (in place of the canola), and the addition of 1 teaspoon of pressed garlic (per 1 cup oil and 1 egg yolk). This is the way I love to make aioli. Mix in a little blanched and chopped basil and Dijon mustard, and you elevate the flavors even more. 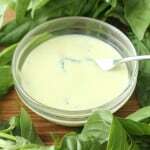 Now, let’s make this Garlic Basil Aioli! Garlic Basil Aioli takes good ole mayonnaise and kicks it up several notches on the taste ladder. This isn't real hard to make, and the flavor profile that it adds to your favorite sandwiches and dishes is remarkable. Amazing! Mince the garlic, then sprinkle a pinch of salt over it. Smash the garlic with the side of a knife until a paste forms. Set aside. Bring a pot of water to a boil. Blanch the basil for about 2 minutes. Remove and place in ice bath. 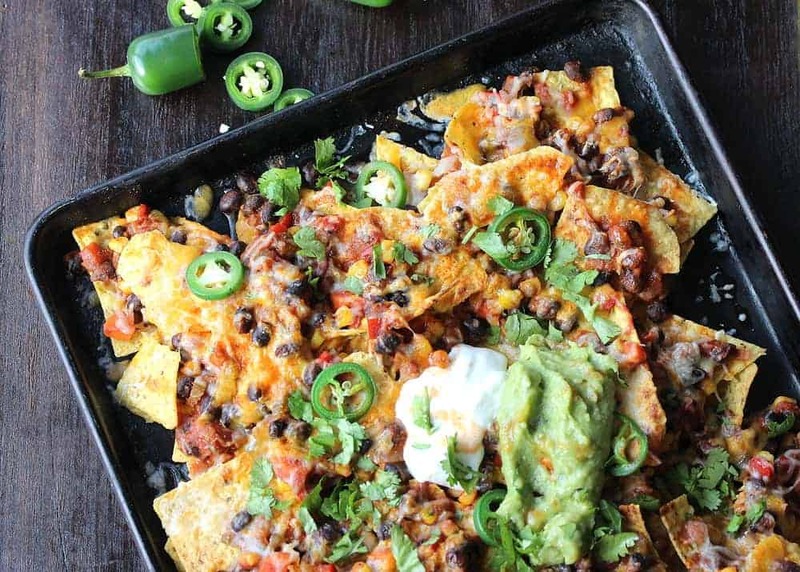 Remove, squeeze out excess water, and roughly chop. Set aside. 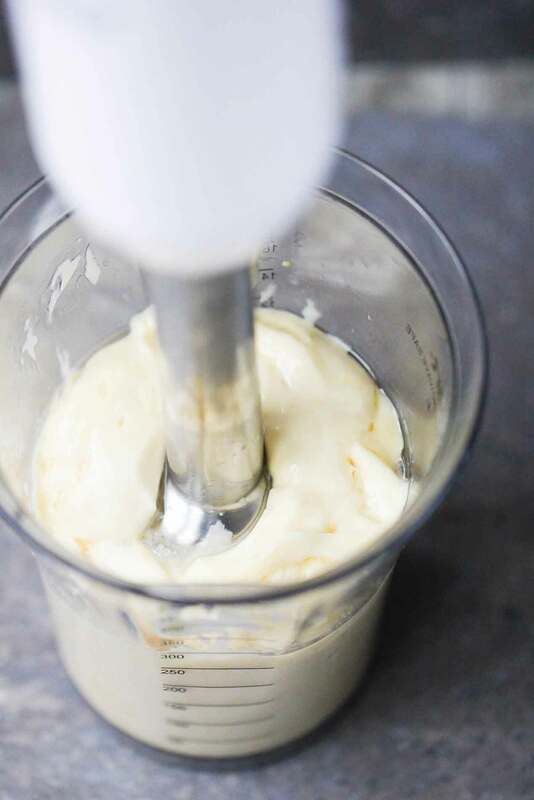 Place the egg yolk, pinch of salt, vinegar and dry mustard in a stand mixer with the whisk attachment. Whisk on medium-low for about 1 minute. (or use a hand emulsifier). Very slowly at first, on medium speed, pour a small stream of the oil into the mixture until the emulsification starts to form. Slowly add more and more of the oil, adding in batches, letting the emulsification to continue. Once all of the oil has been added and emulsified, turn the mixer off. Add the Dijon mustard, lemon juice, garlic and basil and turn back onto to medium speed. Mix until fully incorporated. Thin with a little more lemon juice of too thick.